Freshman year is a time of excitement, transition, and stress! Students, parents, and universities are invited to discover SCoRE®. Through this program, students learn to cope with the personal, social, and academic stressors of college life and prepare for future success. College or university administrators and students, sign up below to get started. Completed entirely online, SCoRE: Self-Paced is an interactive multimedia course that students can access anytime, anywhere. 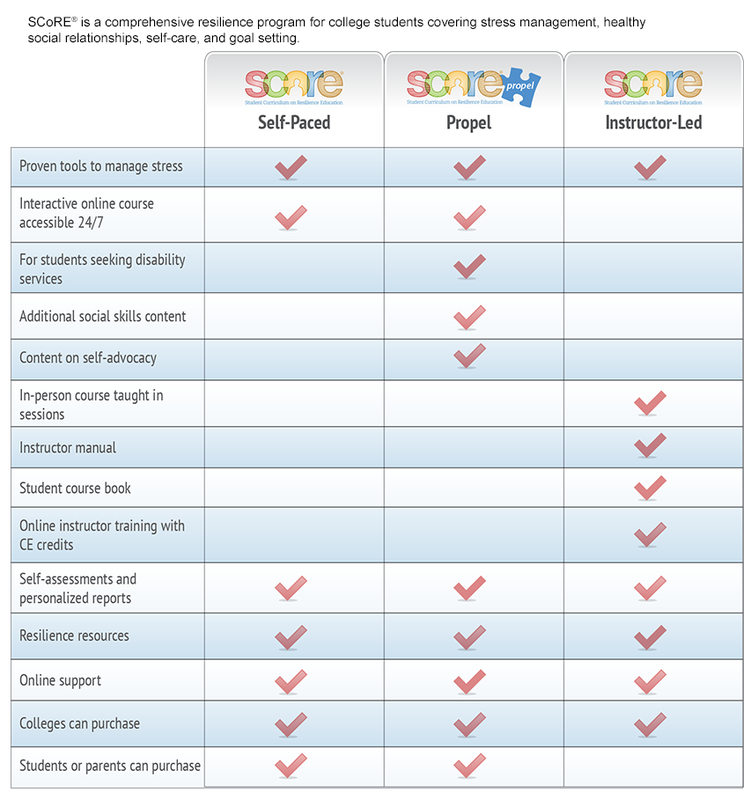 Geared toward students seeking disability services, SCoRE: Propel is an online course that covers all the content in SCoRE: Self-Paced plus self-advocacy and additional social skills content. Delivered in person, SCoRE: Instructor-Led gives colleges everything needed to teach SCoRE, including instructor training, course materials, implementation tips, and program evaluation tools. "I found out that resilience is really important, and it made a huge impact on my first-semester experience."